Toronto Krav Maga Academy (TKMA): Edged Weapon Threats: What Does He Want? Threats with knives or other edged weapons such as bottles, screwdrivers, utility knives, are relatively common because such objects are readily available and easy to carry and conceal. For the assailant, the edged object is used to intimidate someone to agree with their demands. “Do what I tell you to do or........!” From a practical standpoint it is easier and more effective to hold a knife to a person than to use simple brute force. What does the assailant want? Here are 3 general possibilities. Property (money, I phones, vehicles, wallet, jewelry....). “Give me your wallet! 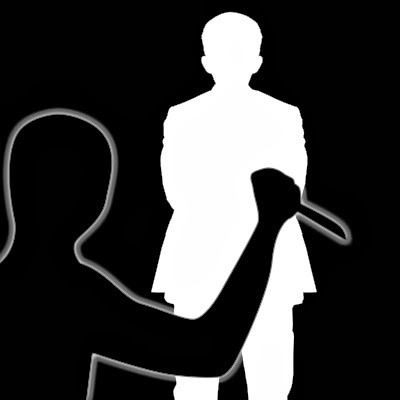 Sexual Assault: The edged weapon is used to gain your cooperation. “Take off your clothes or I will cut you!” Intimidation might allow him to forgo using physical force. Abduction: Taking you to another location. “If you don’t get in the van I am going to kill you!” It is easier to display a weapon than to carry a struggling person to a second location. Of course these goals are not mutually exclusive. An assailant, for instance, might successfully rob you and then decide he wants more. An abduction can lead to sexual/physical assault and theft. Threats can easily become attacks if the assailant decides you are not agreeable, is enraged, doesn’t want witnesses, or simply wants to inflict pain. Understanding what the assailant is seeking plays a very important role in how you defend yourself. If you can appease him by giving him some money please do so. If, on the other hand, he is trying to take you to a more private location you must fight. To cooperate or to fight? This is the topic of our next blog. Knife Threats: Cooperation or Action?